Our youngest daughter began taking violin lessons at the age of three. She is now 12 years old and I’m happy to say that she has had the same sweet teacher all of these years! When she first began, she was too small for the smallest violin. so her teacher made a small “violin” for her from a stuffed margarine box, wrapped in paper from a brown paper bag and attached to a yellow plastic ruler, (I still have it to this day!). By the time she was four we were able to fit her for the smallest violin and it was adorable! We started off renting and continued to do so for each stage of violin until she was ready for a full-sized one. After renting for all those years, nearly ten years, we were told that a percentage of our rental fee would one day apply towards the purchase of a full-sized violin. Well, when this time finally arrived we were disappointed to find out that, long story short , all of the money we had contributed, would only be a percentage of our payment on a very low quality instrument, for which we were expected to pay a very unreasonable amount of money ON TOP OF WHAT WE HAD ALREADY PAID ALL THOSE YEARS!!!!! We had been duped… Or had we? I spoke with our daughter’s teacher and she told us that one of her adult students was selling a very nice violin in great condition, and asked if we would be interested. “YES! 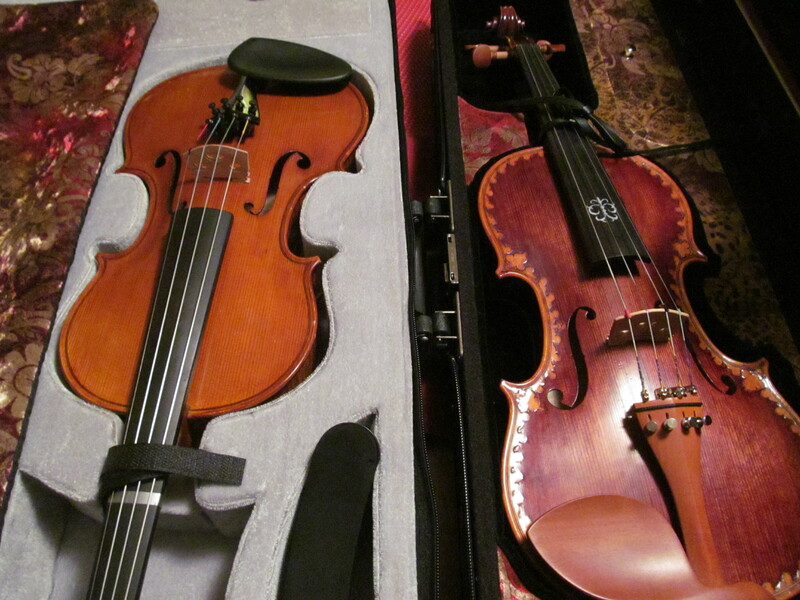 !” I replied, and we were able to purchase a beautiful quality violin for a great price! It was a real blessing…. But that’s not all. A few months later, the teacher told me that the lady who sold us the violin has gotten to know our daughter, in passing as they met between lessons, and she would love for her to have another violin as a gift. It would be a spare for her and it wouldn’t cost us a thing! This kind lady just wanted our daughter to have it. A beautiful story of God’s providence. You have several wonderful awards I see, well done! How wonderful. Some things just turn out right! I love stories like this! He is soooo good! Thank you for sharing and God bless you! The Lord always provides, when we least expect it and in ways we could never imagine.